CDC Software – Real Time. Real Data. Real Success. CDC Software’s cloud-based CTI solutions empower companies to quickly and cost-efficiently integrate their Broadsoft Telephony and Freshservice CRM systems. 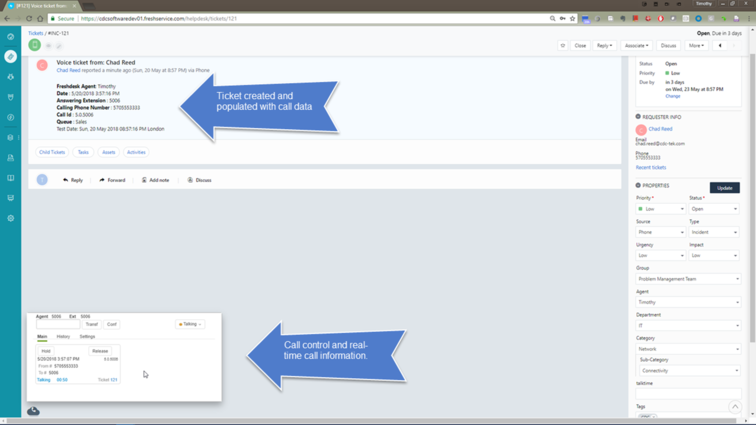 CDC Software’s cloud-based CTI solutions empower companies to quickly and cost-efficiently integrate their Broadsoft Telephony and Freshservice CRM systems, giving call center agents the information they need to delight customers on each and every call. 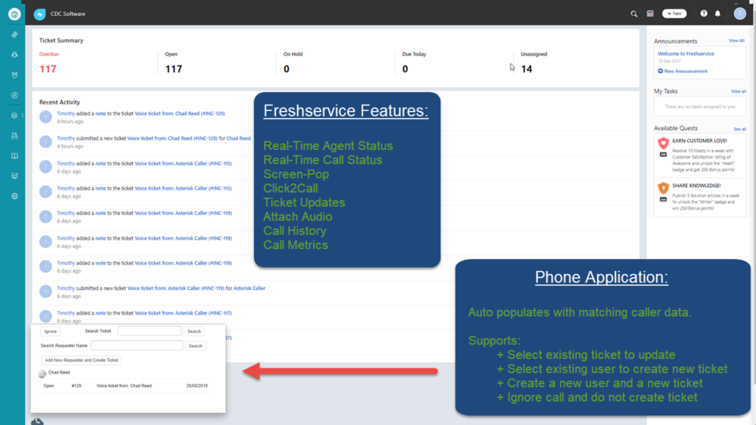 The CDC Broadsoft Telephony - Freshservice CRM integration solution combines a robust core engine with prebuilt connectors, dramatically reducing the time, effort, and expense of call center process automation and integrations. 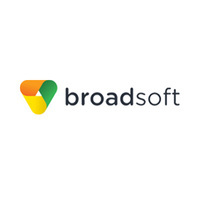 CDC currently supports Broadsoft and over a dozen telephony systems out of the box, with the ability to develop other systems within weeks. 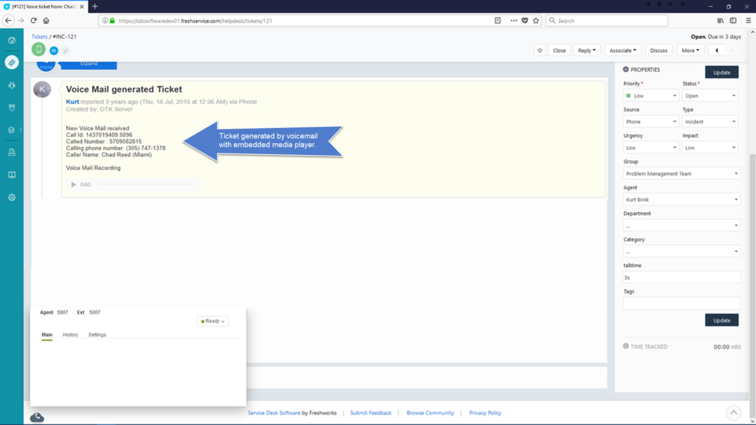 Current telephony systems supported "out of the box" include:  Avaya, Cisco, Digium-Asterisk, Digium-Switchvox, Siemens, Vonage Business, inContact, Broadsoft, Mitel, Interactive Intelligence, Nokia (Alcatel), Amazon Connect, ShoreTel, Fonality-NetFortris, and Skype for Business. Other telephony systems supported based on customer requirements.